Kibron Inc. develops and manufactures proprietary as well as customer specified surface chemistry equipment and screening technology to overcome today's challenges in chemical industry. 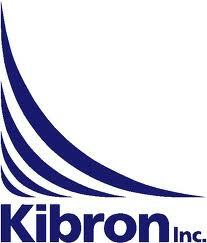 Since its founding, 1994, Kibron has focused on innovation, user benefits and dependable service. Kibron’s innovations are bringing major returns for our clients in widely diverse chemical industries. Optimization of surfactant based formulations in detergents, cosmetics, petrochemicals, agrochemicals and inks, and general surface chemistry studies can now be accomplished easily and cost-efficiently, bringing better and more competitive products to the market faster and at reduced cost. As a result of thorough R&D, dedication, and our state of the art proprietary technology, Kibron now stands as the unchallenged technology leader in the measurement of surface tension of liquids with unique products offering high throughput, automated maintenance, portability, and operation with microliter-scale sample volumes. Major global corporations rely on Kibron: technology, knowledge and people – and so can you.